Silicone Wristbands with your message! Ink Injected wristbands are simply debossed silicone wristbands with color injected into the engraved letters. This technique is used by clients that like to add something extra to their silicone wristband. 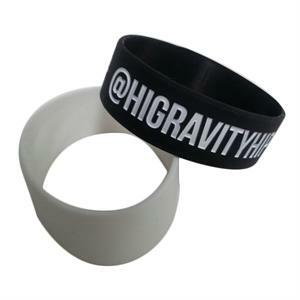 Minimum order is 200 wristbands.